Over the past few weeks I’ve been working on running electric to our backyard shed and completed the feat last week. Immediately afterwards, I cleared out my work desk and took these photos to share with you. This is my little oasis, tucked inside the little building my husband and father built (I helped a little). Nearly a year after finishing the structure, we hired help to dig a trench for our electric and shortly after set that up. Having a light in this space now gives me the freedom to create in here after my children are in bed and during the dark winter nights. 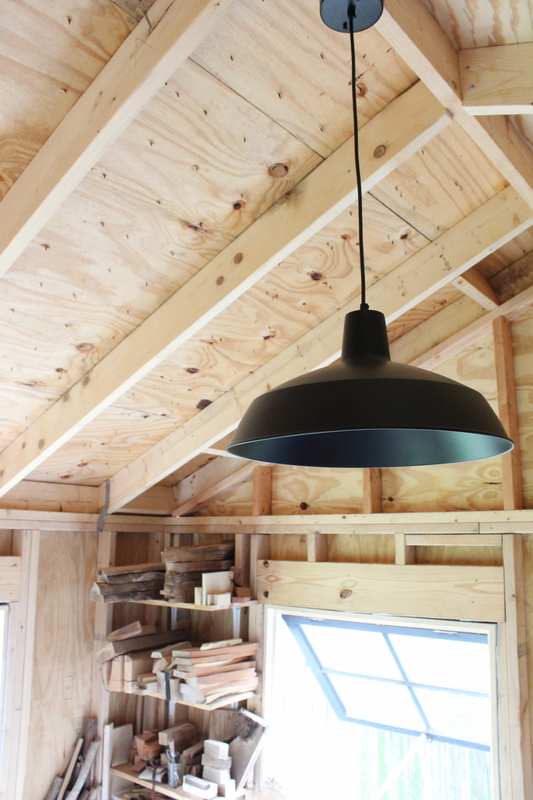 (This is the pendant light we picked for the space.) In the future we hope to add a small air conditioning unit, since Florida can summers tend to be unbearable. My favorite tools are my Pfiel gauges (I own the following sizes: 7a/18, 8l/13, and 7/25) and my sloyd knife. That’s not including my favorite power tool, my Jet bandsaw. Most of my other tools have been collected from various estate sales. 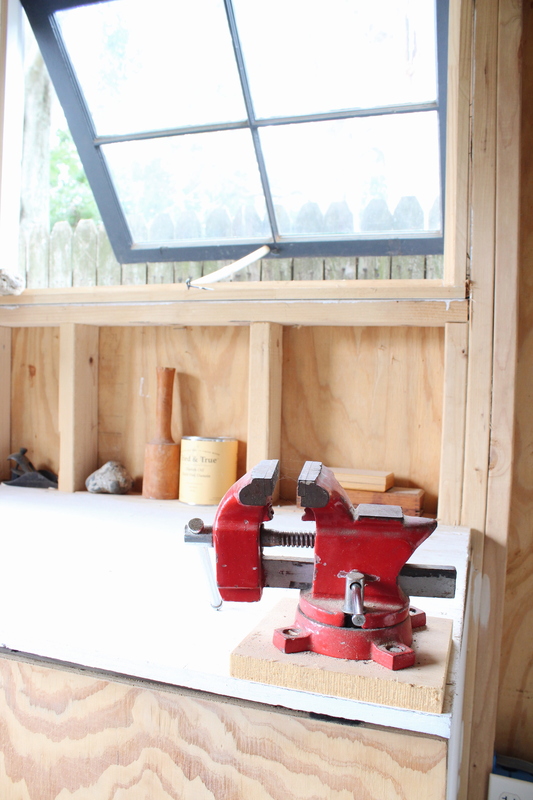 I had to take a step back from spoon carving to work on our kitchen but have been spending every possible moment carving in this shed, especially now that I have light and don’t have to run an extension chord to use my bandsaw. 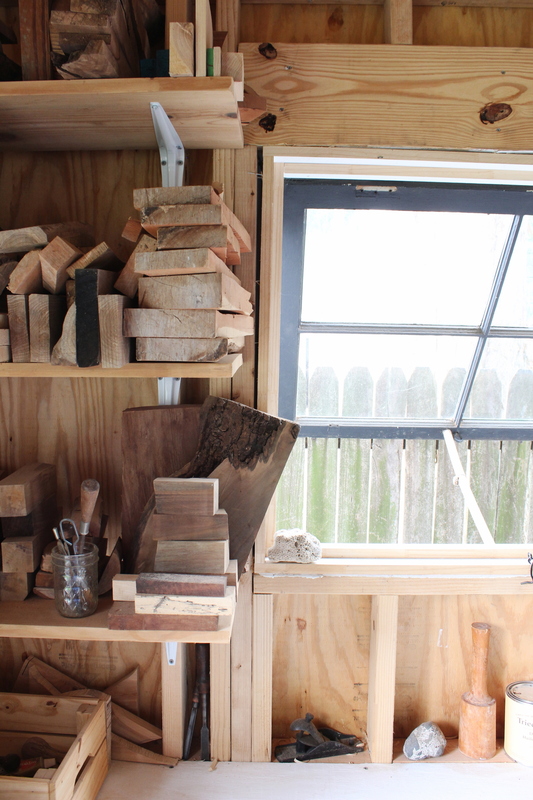 The stacks of lumber on the shelves serve as inspiration each time I walk into this space. 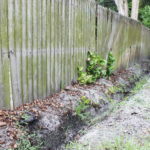 I’m working on a post to share some tips I’ve learned when running electricity underground. 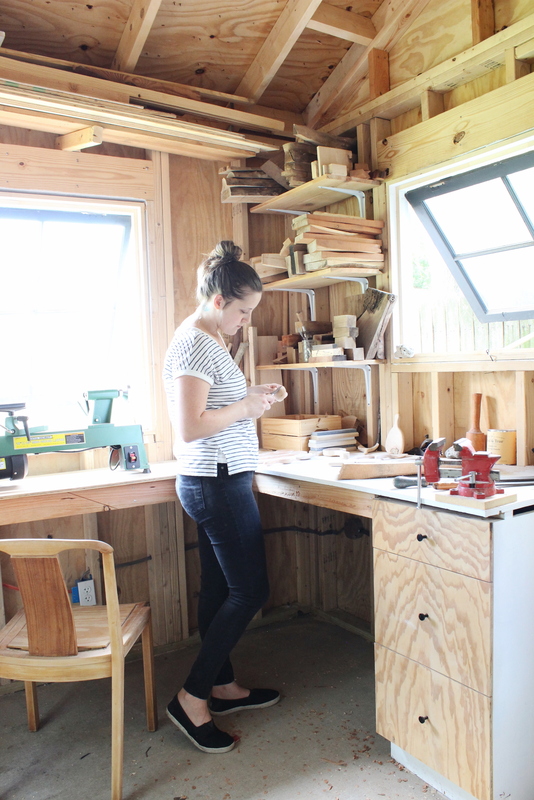 In the meantime, follow my spoon carving journey on Instagram, @wilderprovisions. I am jealous! 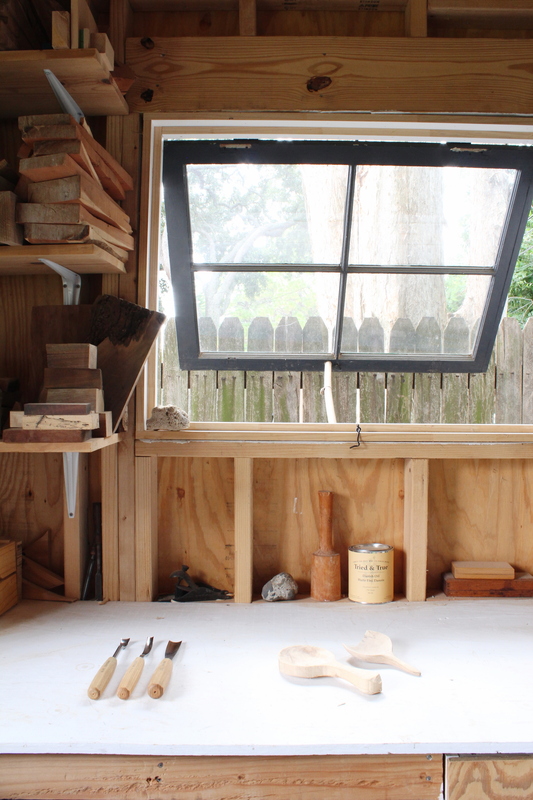 I have been wanting a she-shed for my own workshop and tools for a year or so now, but haven’t been able to make it happen just yet… Yours inspires me to get moving on making it a reality for me! Thanks for the post and pictures! That’s awesome! Best of luck with your workshop!